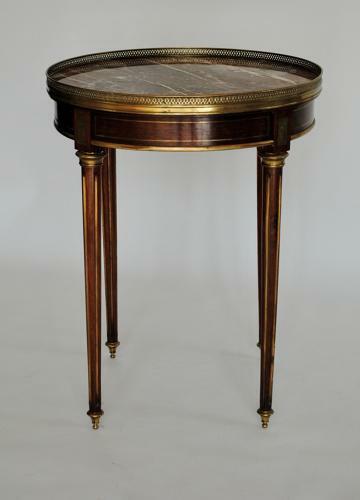 Very good quality mahogany gueridon from France. Dating from the 19th century. Brass inlay, highlights and sabots.